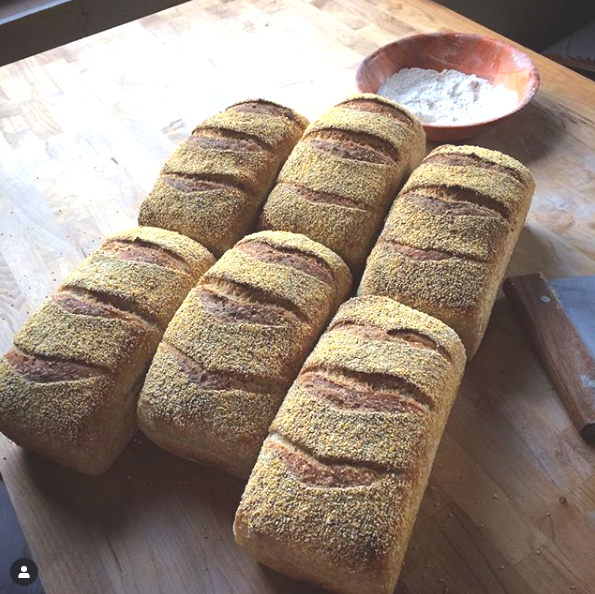 All my nutritious, delicious and beautiful bread is made with certified organic non-GMO flours using old European methods of wild yeast fermentation. Most of my loaves enjoy at least 20 hours of fermentation time making them easy to digest and much more flavorful than conventional bread. I am passionate about bringing a basic food source back to its nourishing roots for you to enjoy. Below is a small sample of some of the varieties I bake on a regular basis. 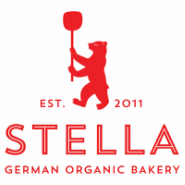 Find out where to buy STELLA bread on my home page. ​organic wheat flour, water, Levain (50/50 organic wheat flour and water), sea salt. 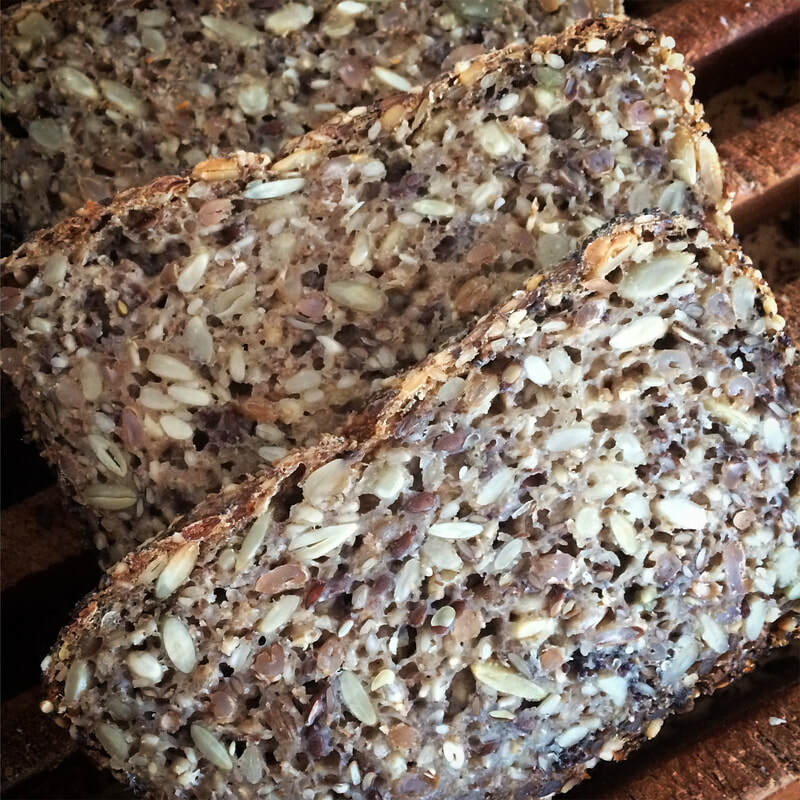 Ingredients: organic sprouted rye berries, water, organic rye flour, Levain (50/50 organic wheat flour and water), organic sunflower seeds, organic flax seeds, organic sesame seeds, organic pumpkin seeds, sea salt. ​Ingredients: org. wheat flour, org. KAMUT wheat flour, org. cracked KAMUT, water, Levain (50/50 organic wheat flour and water), sea salt. 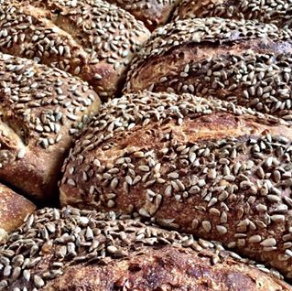 ​Ingredients: water, organic wheat flour, organic rye flour, Levain (50/50 organic wheat flour and water), organic coriander seeds, organic fennel seeds, sea salt. 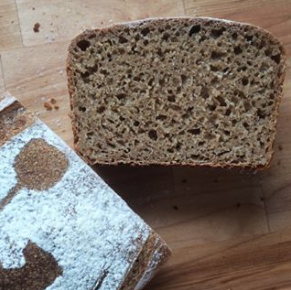 ​freshly milled organic hard red winter from Clearlake Organic Farm, water, organic wheat flour, Levain (50/50 organic wheat flour and water), sea salt. 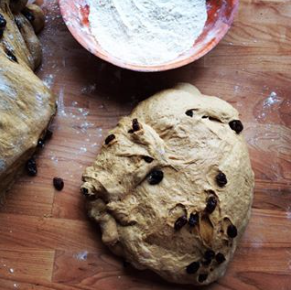 Ingredients: organic wheat flour, water, organic raisins, Levain (50/50 organic wheat flour and water), organic fair trade molasses, local honey, cinnamon, sea salt. ​Ingredients: organic wheat flour, water, organic sunflower seeds, Levain (50/50 organic wheat flour and water), sea salt. Ingredients: organic wheat flour, water, organic Montana Morado Maiz (purple indian corn, Levain (50/50 organic wheat flour and water), sea salt.